"Several animal studies indicate serious health risks associated with GM food, including infertility, immune problems, accelerated aging, insulin regulation, and changes in major organs and the gastrointestinal system. …There is more than a casual association between GM foods and adverse health effects. There is causation..."
Where to start with this topic? 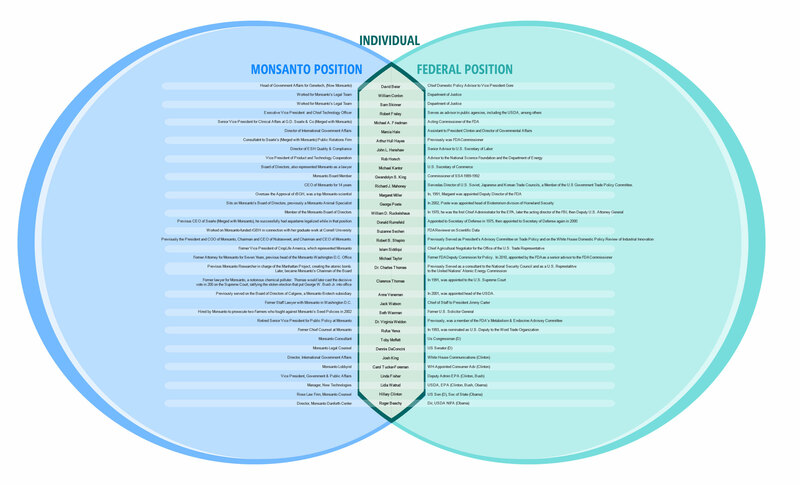 Unless you've had your head in the sand for the past ten years or so, you should already be quite familiar with the controversy surrounding genetically-modified organisms (GMOs). Though the definition can cover things as strange as inserting firefly DNA into fish to make them glow, most of what we hear about in the press is whether or not Congress will mandate the labeling of genetically-modified foods so that consumers can make an educated choice about what to buy and thus, what to eat. One of the best articles I've ever come across that actually explains what GMOs can do (and exactly what is 'Bt toxin'??) can be found here, explaining it clearly and succinctly. HIGHLY RECOMMEND. I also strongly recommend this 25 minute video discussion (11/26/13) of the connection between gluten and GMOs (with Jeffrey Smith and Tom Malterre). It's no wonder that so many people with gluten sensitivities do not get better on a gluten-free diet until they stop eating GMO corn and soy products. And where I live that means you have to stop eating tacos and nachos and enchiladas -- something very difficult to do here in texmex heaven. Organic corn would be wonderful but it's not only hard to find but also prohibitively expensive for most restaurants. Though it seems like a no-brainer to offer consumers the choice (and thus the labeling of GMO products), the negative studies that have come out from all over the world regarding the damage done to human health, the damage done to the soils in which these crops are grown, and the consequences of engineered "terminator" seeds has led to a major marketing/lobbying campaign by GM's biggest proponents: Monsanto, Archer-Daniels-Midland, Syngenta, et al. Though much of Europe has banned the growing, much less importation and selling of GM crops (and most of the world has labeling laws in place as you can see in the graphic below), here in the U.S. the powerful corporations led by Monsanto have kept a lot of the international studies out of the news. Sadly, many members of Congress don't seem to have the time to look into the issue and ignorantly continue to deny there is a problem. Not even when Monsanto started to sue American farmers (following its successful suits in India), accusing them of violating patents on GM seeds when the wind blew the seed into their fields -- not even then did Congress step up to the plate. It's up to us, the consumers to fight this with all we've got. The image below (courtesy of Green America) shows all the countries in the world which have adopted labeling laws for genetically-modified ingredients. North America has a lot of explaining to do. On this page I am posting links to articles and information on the subject of GMOs. Monsanto is the government is Monsanto. What can we do? It seems hopeless at times, but for starters, please support the Institute for Responsible Technology. Director Jeffrey Smith has made it his mission to educate the world about the dangers of GMOs and is spearheading awareness efforts ranging from lobbying to documentary filmmaking to television and print interviews featuring the world's leading scientific research proving the dangers of this very irresponsible technology.